Nigeria Top music producers right now – This list below are the current best top 7 Nigeria music producers right now and with some of the massive hits produce. In the following below we will be showing you some video highlight that we have complied in this article below. 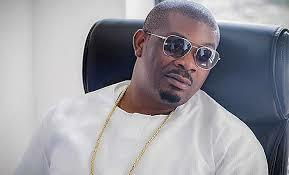 Michael Collins Popularly known as Don Jazzy, the Ceo of Mavins Record label, producer, song writer, recording artiste and philanthropist. Don Jazzy has produced massive hits like Dorobucci, Surulere by Dr Sid, Wande Coal’s The Kick, half of Tiwa Savage’s debut album, including chart topper Eminado. Uzezi and Okiemute Oniko popularly known as Legendary Beatz, is the mind hits like ‘Ojuelegba’, ‘Caro’ and ‘Azonto freestyle’ by Wizkid, “Ara” by Brymo, “Emi ni Baller” By Chidinma and more. Young John also know as the wicked producer is a native of Akwa Ibom is proving himself to be a force to reckon with in the nigerian music industry after producing ‘YBNL General’ by olamide and also ‘Story for the Gods’, Lil Kesh’ “Gbese” and more. Osabuohien Osaretin who is popularly known as Sarz from edo state is a prolific music producer with hits songs like “Jaiye Jaiye and expensive” shut by Wizkid, Sarz single “Beat of Life” and more. Nifu Haruna popularly known as Wizzy pro, is a fast rising producer that has carved a niche for himself in the music scene. Wizzy Pro produced “Girlie O and Alubarika” by Patoranking, and also “O set tee go” by Phyno featuring P-square amongst others. Seyi Akerele who is popularly known as Shizzi is one of the gifted minds in music production. Signed to HKN gang, Shizzi has produced monster hits songs like love my baby by Wizkid and Gobe, Skelewu, Tchelete featuring Mafikizolo, most recent Fans mifeaturing Meek Mill. All this songs by Davido. Mastercraft is on daubt one of the most diverse producers in town. From gospel to soul, RnB and Jazz, he has shown he’s on top of his game. Mastercraft has produced hits songs like “Ukwu” by Timayi, Away by Iyanyi and Indomie when he featured Olamide and CDQ with so many songs. Young John the wicked producer.